A must make list is always a dangerous idea for me – a bit like a must finish list (let’s not talk about how I went with my 2014 Kick The Bucket challenge list, ok?). For those who have been here a while, you’ll know I follow my muse with a focus that would put Dory to shame (oooooo shiny! ), flitting from one project to the next as the whim takes me. So when I first saw the idea for posting a 2015 Must Make list on Facebook, I contemplated it for all of 5 seconds, and then laughed and laughed and laughed. Aside from my letterpress stationery, which I hope to ramp up this year (including a new, dedicated etsy shop! ), I don’t know what I’ll be interested in two weeks from now, let alone by December. A quilt for our bed. Something for small toy storage. Clothes hanger hat organiser for the above!! I’m sure there were a couple of other things I wanted, but that’s a pretty decent list to start with! 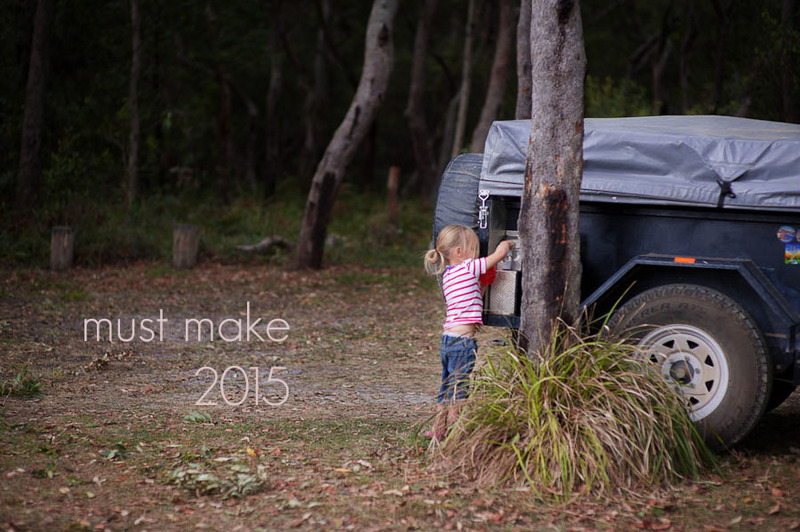 How about you, what are you hoping to get made in 2015? I don’t have a list for 2015 as such – but a general list of things I want to make at sometime or other. And considering I am doing a stash busting challenge, I think I will get lots of that list done! I do however have some sewing for our camper trailer that I want to do. 🙂 Want to make it look more homey and soft. Overnight bags! What a brilliant idea! Might have to add that to the list! Happy Making, it sounds like more than doable for you my dear! I’m still working on my post for Car’s finish it 15 challenge! Can’t add anything new to the list yet.